If you’re looking for an easy alternative to keep things interesting between keno picks, consider some of these fun casual games which, like keno, are entirely based on luck and require no particular skill or strategy to play. When signing up to play keno for real money online, one of the many advantages is that you’ll also get instant access to a huge range of other games offered by the online casino. It doesn’t matter if strategic card games like blackjack or poker aren’t your thing, or you have no interest in spinning the roulette wheel, as online casinos offer lots of casual and niche games that appeal to the keno enthusiasts. Many keno players are quite familiar with the pokies, as both games are regularly offered at local pubs and clubs around Australia. If you’ve ever thrown a few gold coins down the slot of an electronic poker machine, the advancements of online play will blow you away. You don’t even need to be a pokies fan to appreciate the entertaining aspects of online pokies, as these are packed with special features, fun animation and engaging bonus rounds. When playing at an online casino you’ll find classic three-reel pokies, advanced 3D pokies, five-reel video pokies, progressive jackpot pokies, All Ways pokies and more, with game themes ranging amongst everything from movie spin offs to adventure themed missions. Internet pokies start from just one cent per spin and can go as high as $300 per spin, giving the player control over the coin size, number of coins and bet lines per spin. Pokies can be sampled for free in demo mode at any of our recommended keno sites, so you can try various games and see if online pokies are up your alley before committing to any real money wagers. 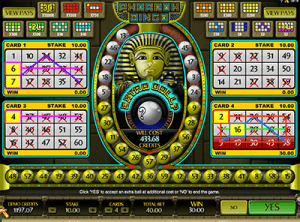 Online scratchies are hugely popular with keno players, offering a great alternative to purchasing scratch cards in real life where you have to make a mess of yourself when scratching off the metallic covering. Virtual scratch cards offer the exact same concept, however instead of having to scratch to reveal the panels lying underneath, you just need to click and point using your mouse. Their online format gives these games the ability to add some innovative features, and you’ll come across some scratchies that incorporate things like fun animation sequences and unique ways to win. 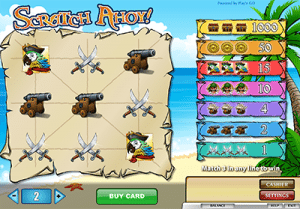 Internet scratch cards can be purchased at various costs, usually starting from a few cents up to a maximum of $20-$50, and offer all kinds of different themes and formats. Bingo is no longer reserved for the blue haired patrons of a community RSL – this number game is now starting to gain traction with a younger generation thanks to its inclusion at online casinos. In online bingo, you purchase a bingo card just like you would if you were playing in real life, the major difference being that you don’t need to be on the ball to mark the selected numbers off, as the computer does this on your behalf. Once you have the card and have clicked to play, the chosen numbers will appear and if any of these numbers are on your bingo card and form a winning pattern, you win. Pays differ depending on the patterns in which the matched numbers appear on your card, with more intricate patterns typically resulting in higher wins. The only downside to online bingo is you don’t get to revel in the sweet glory of yelling a triumphant “BINGO!” to a room full of hopefuls. 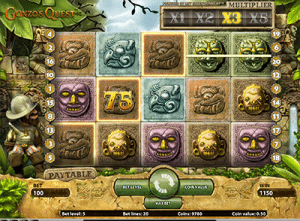 Online casinos offer all kinds of unique, niche games, including arcade style games and other quirky creations. You’ll typically find these games listed within the ‘other’ or ‘fun’ game category at an online casino, so your best bet is simply to head to one of our recommended sites and have a browse around to see what’s available, giving games a try in demo mode for free to see if it’s suited to your tastes. Niche games at our recommended casinos are available for instant-play directly over your Web browser with no downloads required, so it’s easy to sample the selections and find a keno alternative that’s right for you. Sign up to play keno for real money online at Lottoland, where Aussie players can bet on Australian and international keno and lottery draws for the chance at some big wins.